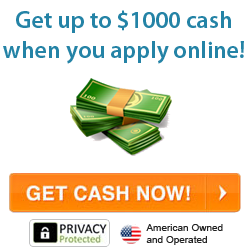 Applying for a payday loan online is easy and convenient. 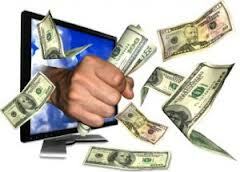 In recent years online payday loan companies have experienced explosive growth. There are literally hundreds from which to choose. Comparing a few of their features may help you to choose the payday loan company that will provide the best solution for your financial dilemma. Interest and fees - Due to their convenience and the fact that that most of their clients have damaged credit, the interest and fees charged on payday loans are exorbitant. The typical fee will be $20 for each $100 loaned. Thus, if you borrow $200, you repay $240. A few companies charge less for first time users. Other fees may apply. Check a company's "roll over" fee. This is the fee charged to extend the loan for another term if the entire balance cannot be paid when it is due. Fees such as these can greatly increase the cost of the loan. Term of the loan - A payday loan is usually due fourteen days from the day it was made. The term may vary according to the date of a person's payday. Some loans may be due in as little as twelve days others may be due in as much as seventeen. Make sure you know when your loan, loan payment or rollover fee will be debited from your account. If funds are not available when the debit is made it will be treated as a bad check. Automatic roll over - A few loans may automatically roll over unless the company is informed that the entire balance is to be paid. An automatic roll over will cause an additional fee to be paid. Early payoff - Fees paid on payday loans are generally the same whether the loan is paid off on the due date or before the due date. Still, it is wise to check if a company has any early payoff policy which may lower the cost of the loan. Payday loans can be very helpful for a person who has no other access to emergency funds. They should be used on a very limited basis, however, and always paid off as soon as possible.